Hi, my name is Lisa and I am a blogger and I make things. I always get asked what I do for a living, and when I respond with the previous sentence I get a lot of confused looks and “oh that’s insert confused word here,” and that’s where the conversation ends. In the past, those responses would frustrate me and make me sad that people either didn’t get it or didn’t think it was a real job that could bring in money. 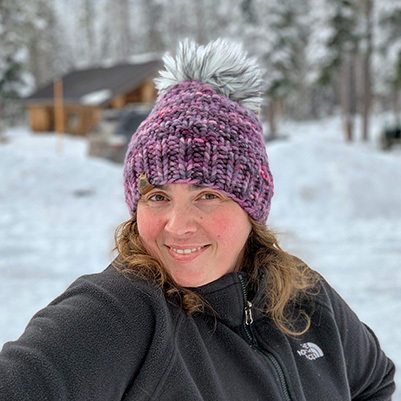 I can’t tell you how many times I have avoided telling someone what I do, and instead went with the easier response of, “I’m a stay-at-home mom.” Yes, I am a stay-at-home mom, but I am also a blogger and an Etsy Shop owner. So, why did I avoid telling them what I do? 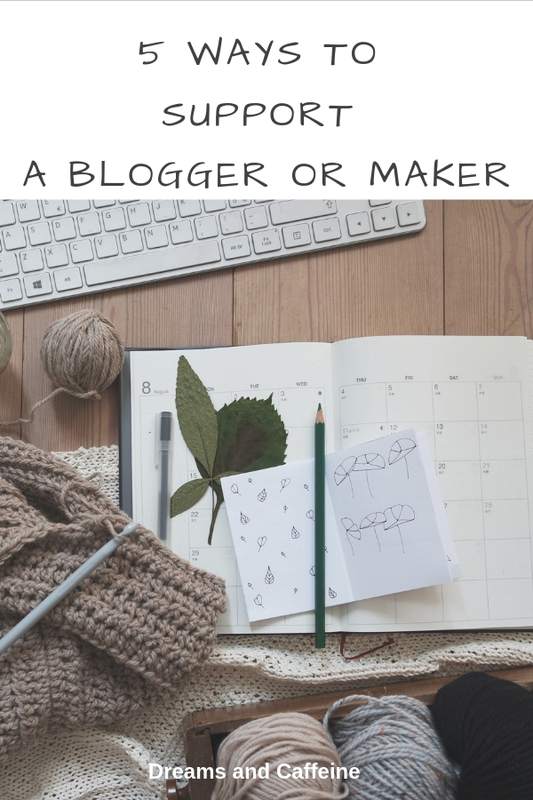 The simple answer is because a lot of people don’t know what bloggers or makers do, or how they generate income from being a Blogger or Maker. And, even if someone knows someone that is a Maker or Blogger, they may not know how to support them. Since this is a consistent theme for me, I have decided to share with you some ways to support a blogger or maker. It’s a short list explaining ways you can be supportive without it taking money from your pocket. Every time you get an email saying they have a new post up, be sure to visit their blog and read their post. The great thing about this kind of support is that it doesn’t cost you any money… just some time to show your friend or family member that you support and care about what they are doing. By favoriting their Etsy Shop, every time they renew an item or put a new item in their shop you’ll see it in your Etsy feed. Follow them on all of their social media channels (Pinterest, Facebook, and Instagram). Share their posts or projects on your social media channels. The more people that see their work, the more beneficial it is to the Blogger or Maker. When they post on their blog or on social media, leave a kind comment. Interaction like this increases their presence on the Internet and can drive more traffic to their sites. If they are selling something you want, and it fits in your budget, purchase it from them. If you do purchase something from them, be sure to leave a review of their product or service you received so other people can get an idea of how great it is. Now that you’ve read through some of my ideas, what do you think of them? Would you be willing to do the above ideas to help support your friend or family member that blogs or is a maker? I hope you find this post helpful! 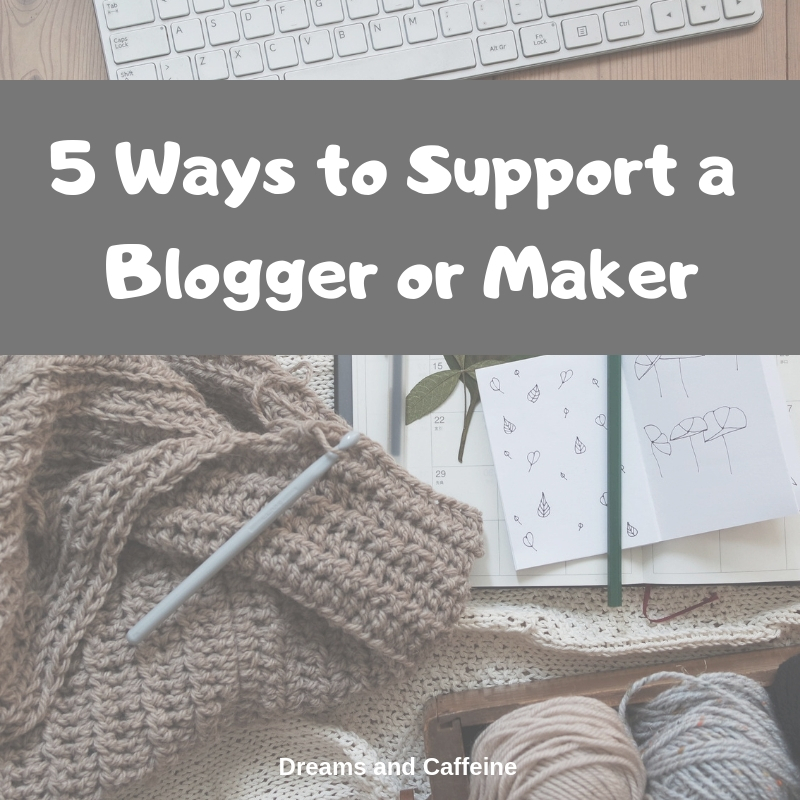 If I missed another way to support a Blogger or Maker, be sure to leave it in the comments. 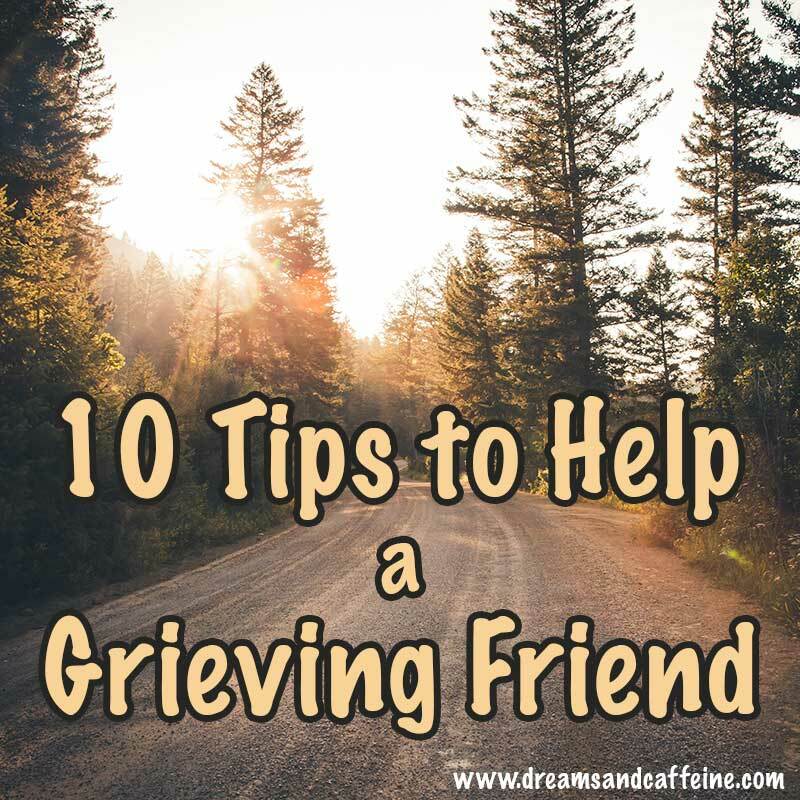 Good morning and welcome to today’s post on 10 Tips to Help a Grieving Friend. It was the anniversary of my mother’s passing recently and it really got me thinking of my loss and how it has truly changed me and my life. My mother passed about a month after I got engaged (luckily, she knew and supported my future husband and our relationship). Since her passing, I have had so many life changing moments that I would have loved to share with her… getting married, battling infertility, IUI & IVF/FET, getting pregnant, having a baby, and then having a second child. There are days that I look at my children and they just crack me up… and I think of my mom and how much she would have adored my kiddos. As you can tell from the above paragraph, I am able to talk and write about my mother and her passing in a much more positive light. That has not always been the case, especially when I first lost her. Digging deep and going back to those first moments, I can’t help but remember the pain (it actually physically hurt my heart) and the anger. The pure exhaustion and heartbreak I felt from seeing my dad, sisters, and nieces & nephews go through this truly painful experience. So, as the old saying goes, I thought I would turn lemons into lemonade and put my experience to good use to hopefully help someone else who might be experiencing loss. Send texts or emails to let your friend know that you are thinking of them and that if there is anything you can do, just let you know. This may seem impersonal, but I promise you, during this time they may be only able to handle a text. And know that they may not respond, but when all is said and done, they’ll remember. *Facebook – avoid public communication unless they have initiated it. This is a very personal situation and should be dealt with as such. Send a card and let your friend know that you are there and supporting them every step of the way. When the dust settles, they will have the card there to remind them of your support. Bring food… and by this, I mean prepare a meal and drop it off. Don’t bother them with conversations, questions or socializing unless they initiate it. Drop off groceries. Their house is probably empty because they haven’t been able to or don’t want to go to the grocery store. So, bring things like milk, butter, laundry soap, dish soap, etc. Bring snacks (donuts, coffee, candy, chips, etc. )I remember when my mom was passing our entire family was there and everyone was in a zombie state. No one was really eating, but some family friends had dropped off bags full of candy and snacks, making it easy to walk by the table and grab a handful and eat it. I don’t remember what it tasted like or if I even liked it, but it kept me and my family fueled. Offer to run errands. Unfortunately, the world doesn’t stop for our pain or loss and the bills still must be paid. Be a good LISTENER. If your friend does want to talk, just listen and be supportive. Don’t make it about you… it’s their pain and their loss. Don’t make statements that are annoying… like “everything happens for a reason,” “they are in a better place now,” or “at least they are not in pain or suffering anymore.” While these all might be true and your friend might agree… they probably don’t want to hear it. When I lost my mom, I wanted to tell people who said phrases like this to quit talking. Though I agreed, I still hurt from my loss and didn’t want to hear it. Let them cry, be angry, vent their anger, rationalize, etc. Be patient. It is going to take time for your friend to heal and during that time there will be good days and there will most definitely be bad days. Just be there and support them in any way you can. At the time, it won’t seem like they noticed your support, but I promise you they did. When I lost my mom suddenly and unexpectedly, I can tell you exactly who was there for me and who was not. I can also tell you who was helpful and supportive and who was not. Please realize that what we’re going through you cannot fix, take away the pain, or speed up the process. You can only be our supportive friend… which means a lot. Also know that at the end of the experience we grow and learn that the pain from our loss never really goes away, but it does get easier with time. And even with time something will happen, a family gathering, or your kiddos might do something that your loved one would have loved, or the holidays roll around and it reminds you of your loss and your heart and soul rips open to the same anguish you felt the very moment your loved one passed. To say time heals is a joke… it just simply numbs the daily pain to make life manageable. So, dear friends, I hope you find this sad, but honest information helpful, and please remember that everyone deals with loss differently. In the end, just be sure they know you’re there for them and willing and ready to support them in any way you can. To the Mom I lost way too early… you may be gone, but never forgotten! I know now that we never get over great loses; we absorb them, and they carve us into different, often kinder, creatures. Dreams and Caffeine is a participant in the Amazon Services LLC Associates Program, an affiliate advertising program designed to provide a means for sites to earn advertising fees by advertising and linking to amazon.com.